What is it with snooty Italian waiters and pepper grinders? You know, when you go to a trying-to-be-upmarket restaurant, and you want some cracked pepper on your pasta. So you ask for some, and the waiter disapprovingly comes over with a huge wooden grinder (surely he’s compensating for something?). You smile weakly, and gesture at your plate. Whereupon he gives a cursory twist of the top, leaving a homeopathic quantity of pepper on your dinner. Forcing a smile, you ask for more, and another half turn is grudgingly given, before the pepper is whisked away, never to be seen again. The whole charade drives me nuts, which is why I take my own pepper grinder out to dinner with me. I furtively pull it from my pocket to administer a heavy dusting when required. I guess it could also come in handy if I were to be mugged, sort of as a middle class pepper spray. I’d just grind it into the muggers face. Although muggers in the Inner West of Sydney would probably complain it’s not single-origin tellicherry. 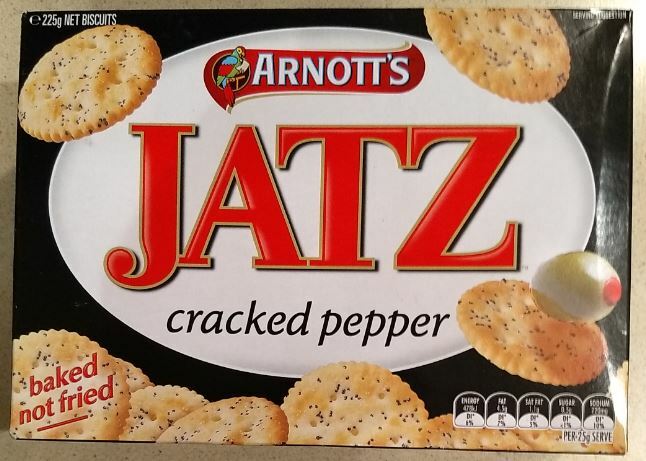 Anyway, I’m glad to say that Arnott’s have not been measly with the pepper in the Jatz cracked pepper. It has a good peppery flavour, and goes well with rounded cheeses, or indeed as a snack on their own. 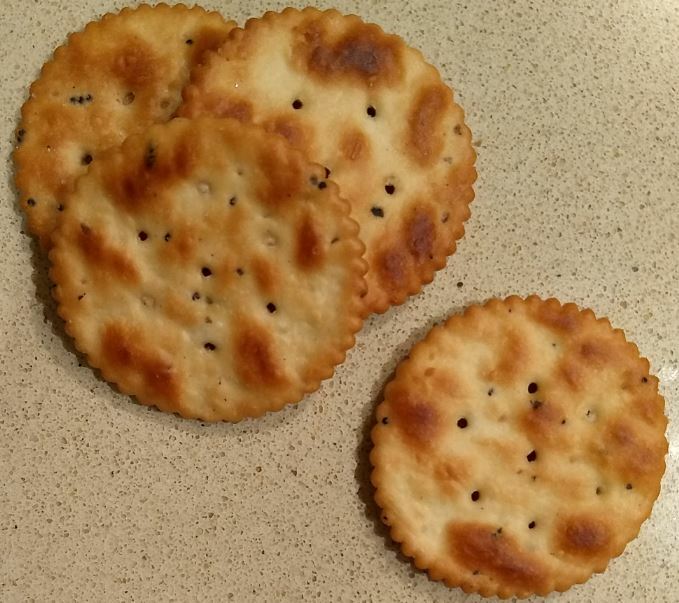 Indeed, the only criticism (which is not really a criticism per se) is that they make a less good snack than the original Jatz simply because the pepper becomes a bit overwhelming by the time you reach the fifteenth biscuit or so. One interesting aside – those black bits you can see aren’t peppercorns. They are poppy seeds. I’m going to give them an eight out of ten. Very tasty. This slim volume is a delicately written novella with an intriguing premise. 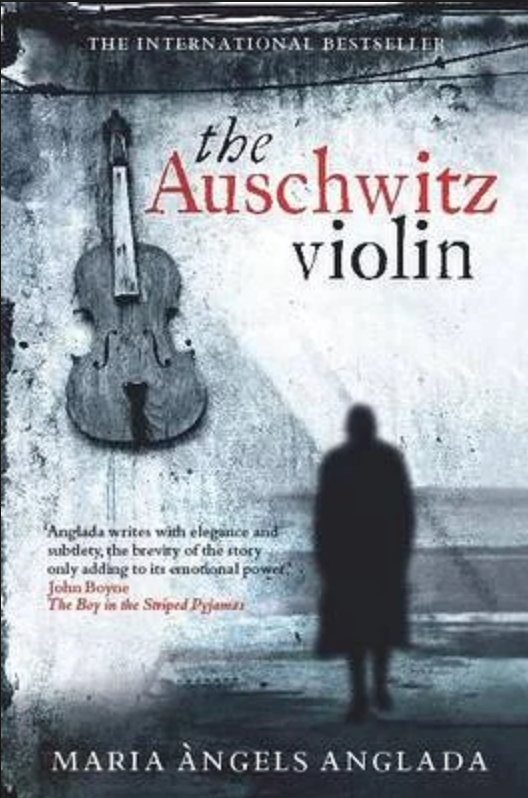 A luthier, interred in the terrors of Auschwitz, is forced to make a violin for the camp Kommandant. If the violin is not of an acceptable standard, he faces terrible consequences. The story is told in flashback; by the now owner of the violin – which possesses a rich and sonorous tone. The story is simply told, and quite affecting. That said, on some level the characters seemed to fall a little flat for me; it’s hard to pin down quite why. Each chapter is preceded by a fragment of a real document from the camps – a regulation, report or correspondence – which are in some ways the most powerful thing in the book. That said, this is a great read, and being short is easy to take in in a single sitting. It will certainly stay with you for a while.